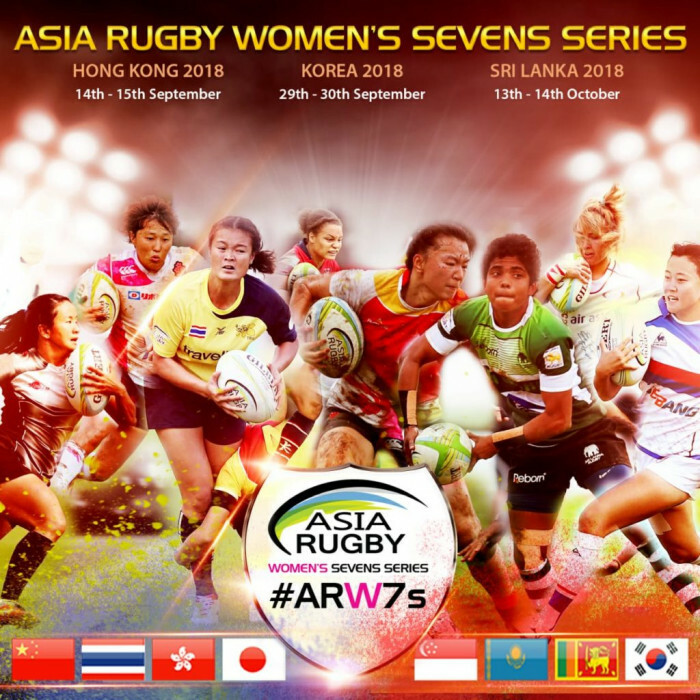 Japan won their fifth consecutive round of the Asian Sevens in Namdong, Korea – and with it all-but wrapped up the championship – but it was Kazakhstan who grabbed the attention with their first Asian 7s final for seven years. Japan again proved themselves to be number one in Asia, but it was Kazakhstan who moved into second place in the series with their best weekend of sevens rugby since returning from their 2016 suspension. The new Asian format is based on two pool rounds on Day One, with the final pool game, semi-finals and final on Day Two – dropping the quarter-finals to allow room to make all three tournaments in this year’s series double-headers. One result of this is that the key pool games between the top seeded teams take place in round two, making them the climax of the opening day. This weekend Japan were again too strong for Hong Kong, but it was closer than the first round two weeks ago, Japan winning 24-12, but in the other pool Kazakhstan – who lose to China by the odd try in five in Hong Kong – came back from losing two players and conceding a score in the opening minute (discipline remains Kazakhstan’s biggest headache) to dominate the rest of the game. They drew level with a try from Veronica Stepanyuga while still down to five players before Anna Yakovleva and Nigora Nurmatova put them firmly in command at 15-5 at half-time. A third yellow did not slow Kazakhstan down – they again scored while being short of players – and eventually ran out deserved 27-5 winners. Remarkably this was Kazakhstan’s first win against China in the Asian 7s since 2005 - though they have beaten them in other tournaments – and ended six game losing streak in this fixture. The top four teams wrapped up the semi-final pairings at the start of the second day, which meant that - thanks to their loss – China would meet Japan for a place in an Asian 7s final, rather than for the title for the first time for three years. In a predictably tight game, all of the scores were in the first half, with Japan holding on to win 10-5. In the other semi-final another two Kazakhstani yellow cards were not enough to stop them winning comfortably 26-14, with Hong Kong only getting on the board in the final 90 seconds on the game. In the final Kazakhstan raced away to a two try lead in the opening two minutes, but yet again discipline let them down. A yellow for Lyudmilla Korotkikh allowed Japan back into the game – the champions scoring twice while she was off the field – resulting in a tense second half where the only difference was a try from Honoka Tsutsumi for Japan, who sneaked a 17-12 win. Meanwhile China took third, so while Japan are pretty much champions if they turn up in Sri Lanka, China and Kazakhstan will be battling for the second spot – which matters because finishing behind Japan next year it will be enough for a place in the Olympics.